SOCCER - MBABANE Highlanders players are determined to end their rivals Mbabane Swallows’ dominance over the team. The two sides are set to lock horns in the Mbabane derby slated for the grand opening of the 2018/19 MTN Premier League at the Somhlolo National Stadium on Sunday. 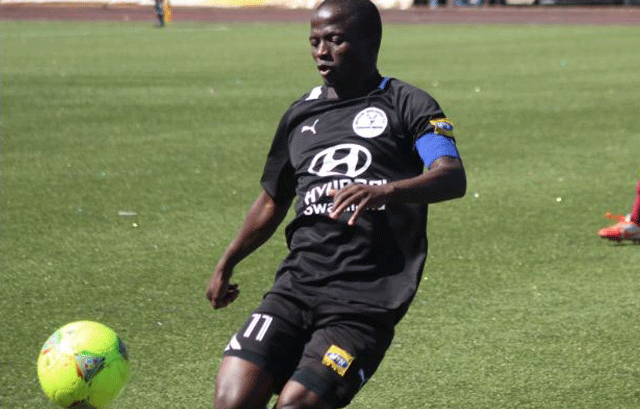 Speaking on behalf of the players Highlanders Captain Xolani ‘Chocco’ Sibandze vowed yesterday that they would end the dominance Swallows has had in their past five meetings. “The time has come to stop the dominance by Swallows. We will be all out during the game on Sunday as we need to win it at all costs. The players know what is at stake and they want to make history by beating the team that has given us trouble for quite a while now,” he said. He added that the team would give a better showing than the one they gave during the Eswatini Telecom Charity Cup, where they lost to Swallows in the finals. “We are a much better team now and have trained together for a long time. As a result we have gelled and we are looking to get positive results,” he said. The long serving skipper also highlighted that they will be boosted by the return of South African born striker Thanks Mokengane. “Thabiso is back and we will be at full strength with the exception of goalkeeper Khanyakwezwe Shabalala who is nursing an arm injury. The spirits are high and we are ready for Sunday. "Our supporters should come in great numbers and we promise to make them happy. But I would like to urge them to enjoy responsibly when we win and avoid incidents that will get them into trouble,” he said.